Well, Election Day is finally here...and now the waiting begins! 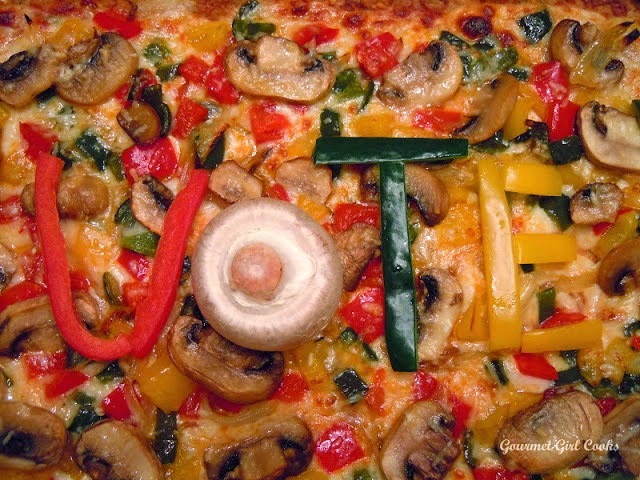 I decided to make a special "Election Night Pizza" for dinner...and the toppings were appropriate and politically correct as well! I made a double batch of my Almond/Flax/Parmesan/Herb Pizza Crust and made a larger rectangular shaped pizza for this evening's dinner. I topped it with red and yellow bell peppers, onions, mushrooms and Poblano peppers. It turned out great. 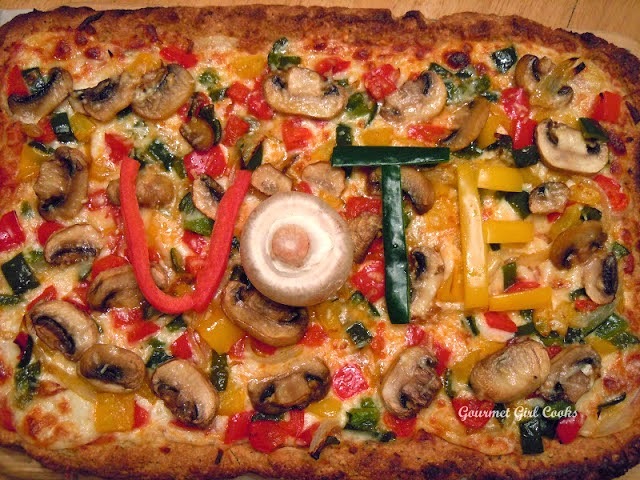 Check out the special message on tonight's pizza! I've snapped a couple photos and a link to the pizza crust recipe that I doubled (I also reduced the water a bit and put in 5 tablespoons of water total in the doubled pizza crust recipe -- everything else was doubled exactly). The link to the pizza crust recipe is below. I'm getting ready to hunker down now for the long evening and enjoy a cup of coffee with a little slice of pumpkin pie. Enjoy! This is an amazing wheat free pizza crust! I have done the cauliflower crust, in a variety of ways and I've tried a chicken and cheese version of wheat free pizza crust. This one, by far, is the easiest and best I've tried. It was so beautiful to pick the slices up and eat them right out of my hand...just like regular pizza. YOU are amazing! Thanks for sharing your fantastic recipes. Wow, thanks Marilynn!!! I am so glad you enjoyed it. Thanks so much for the kind comments. Can you bake this without toppings and freeze? or maybe cook the crust put on toppings and make a frozen ready to pop in the oven pizza for quick dinners and lunches?